These resources have helped me start and grow my handmade business. Scroll through the list to find the tools & systems that are the best fit for your needs. Disclaimer: Some of these links below are affiliate links, meaning at no additional cost to you, I will earn a commission if you click through and make a purchase. However, I fully believe in these services and wouldn't promote them if I didn't believe they would also work for you! 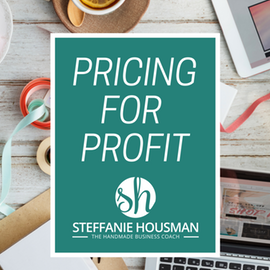 From the new to the seasoned entrepreneur, pricing products correctly is the path way to success. Click below to get the exact formula we used to grow our profitable 6 figure handmade business from scratch. Copy us so you stress less and achieve more! Wether it is bags for your customers at your market booth to your shipping materials - the entire presentation of your products AND your shop matters. Our good friends at Deluxe have offered our readers 15% off retail packaging at Bags & Bows Online. From custom packaging to plain bags that I've stamped - it all has made a difference in branding my business and taking it to that next level. Not a pro at photo editing? Let me tell you a little secret (neither am I)! PicMonkey was perfect for my business when I was just starting out and before I needed to do more advanced work with a designer. PickMonkey is FREE to try! Give it a whirl and you will never miss photoshop again. Facebook ads can be more targeted, personalized, and automated than ever before with Drip’s new Facebook Custom Audiences integration. This integration lets you automate your Facebook ads from inside Drip workflows. Easily start, stop, and change the ads your customers see, based on actions people take. When I started my business, unique business cards were few and far between. Being a soap company, I wanted round cards but it was cost prohibitive for being a small company. So I waited. And waited. And waited for more handmade-friendly businesses appeared. Today, you can save 60% Off Business Cards and get the cards that match YOUR business without settling. Catalogues, Postcards, Hang Tags, Business Cards, Table Tents, and so on. When we need printed products, it's nice to know where to go for short runs that are great quality, even better prices, and arrive on time. That's why I've turned to PGPrint for my unique handmade business needs. 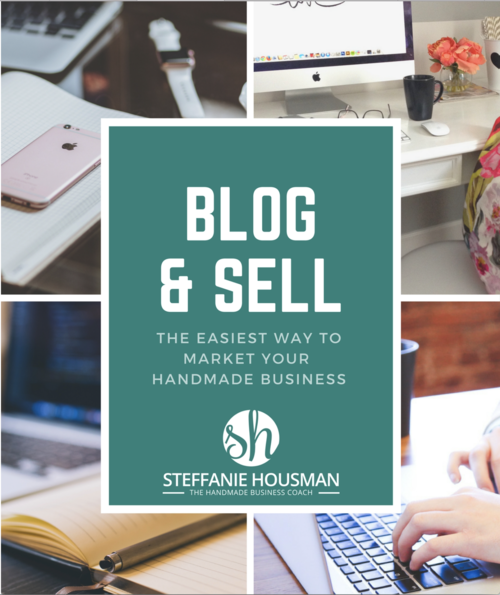 Not sure how to market your handmade business? No clue on what to write about in on your blog or in your newsletter to attract your ideal customers? That's exactly where Blog & Sell comes in. This 100% FREE resource (crazy, I know!) is yours for the taking to begin attracting the right customers directly to your site. Sell more products and make larger sales with over 50 prompts that give you the easiest way to make your handmade business on your tight schedule. There are so many different email services out there, but for our clients, we recommend that they start with MailChimp. It's easy to use, free to start with and all around a great service. For a majority of the Makers, Crafters, and Etsy store owners - MailChimp is exactly what you need for your newsletters and promo marketing. Plus, it integrates with a ton of services making your life easier. 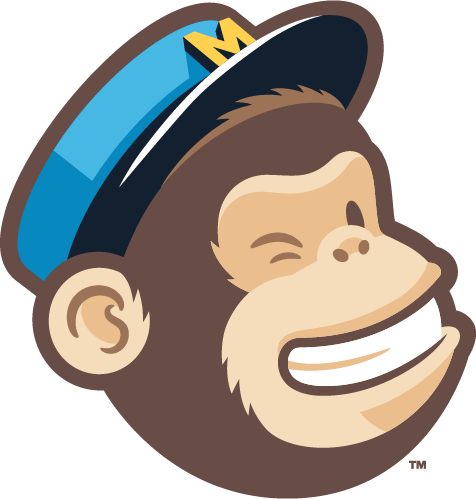 Check out MailChimp today. Step 1 of getting you handmade business online is setting up your shopify account. Outside of branding development, Shopify is the best investment I've ever made. It takes away the pain of dealing with hacking together WordPress plugins to hoping you are keeping everything up-to-date so hackers don't take advantage of your site. Shopify simplifies shipping, communications with customers, and has all the in-person selling add-ons you could ever need. Had it been around from day 1 of my business, I would have saved myself hundreds of hours of time. Shopify the top recommendation that I have for every client. There are days when I just hate, hate, hate coming up with what I cam going to post to facebook, twitter, and all my social profiles - I just wrote the blog posts for the month, that's enough right? Nope - you have to promote them to get that traction. That is where Missinglettr comes in and it has been a miracle for me. It syncs with your blog's RSS feed and pulls in your content. Then it automatically generates the content you need to be pushing out to your audiences! Pick your templates, add your brand colors, approve the posts and you are done with promoting that piece for an entire YEAR. It seriously does not get any easier. I highly recommend you check out Missinglettr and while you are at it, get 50% off for your first 3 months too. Pinterest & Instagram - you either love 'em or hate them when you are part of the crafting community. Scheduling, figuring out best posting time, tags, and analytics - that's what tailwind is here for. It helps you master the tools that are going to make some of the biggest impacts of your handmade business. Start a free trial and watch your numbers increase!